Andrew J. O’Connor, the activist at the center of controversy over his comments calling for violence towards oil and natural gas workers, had numerous exchanges this year with leading Democratic officials in Boulder and Broomfield, Colo., according to emails obtained through the Colorado Open Records Act. O’Connor’s anti-industry activism caught the attention of state Rep. Mike Foote (D-Boulder County) months before the letter in the Daily Camera set off a storm of criticism. The following month, O’Connor emailed several local officials about a March 9 meeting with Foote at Spring Café at 3:30pm to discuss his initiative. Foote, whose district includes Louisville, Lafayette and Longmont, sponsored several bills restricting the oil and natural gas industry this past legislative session. Foote did not respond to a request for comment by Western Wire. Law-Evans expressed concerns about O’Connor’s rhetoric. Asked about his email conversations with O’Connor, Kreeger in an email to Western Wire denied “working” with him. Kreeger did not respond to follow-up questions. Even after O’Connor’s rhetoric was criticized by local residents, industry representatives, media outlets, and a bipartisan spectrum of elected officials – including state Sen. Larry Crowder (R-Alamosa), state Rep. Chris Hansen (D), the Colorado Springs Gazette editorial board and Denver TV station 9News’ anchor Kyle Clark – Kreeger congratulated O’Connor on his activism. O’Connor’s proposed ballot measure that would double state taxes on oil and natural gas production passed a first hurdle at the Secretary of State’s office. It was only after O’Connor asked Kreeger about his letter to the editor, almost two full weeks after it was published, that he warned O’Connor about the rhetoric used. Kreeger still praised and encouraged O’Connor. The emails also reveal another rebuke of O’Connor’s violent rhetoric, though not from elected officials, but from a member of the news media. On April 24, O’Connor pitched Denver Post Opinion Editor Cohen Peart another letter to the editor, this time arguing about a “moral responsibility to blow up wells and thereby eliminate fracking and oil and gas workers” (emphasis added). “I absolutely believe that the Denver Post has a responsibility to publish my letter to the editor. In fact, it would be irresponsible of the Denver Post not to publish it,” O’Connor wrote back. 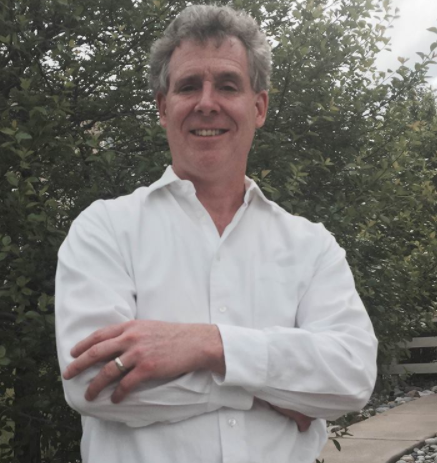 “So, please publish my letter as a public service to the people of Colorado.” The e-mail exchange was captured because in his reply, O’Connor copied a number of elected officials and a special e-mail account for oil and gas comments in Boulder County. The emails obtained through the CORA request reveal O’Connor’s criticisms of fellow anti-oil and gas activists with East Boulder County United, the group that was accused of bullying and threatening a local chamber orchestra this month, and that subsequently used a concert as a platform to protest fracking. O’Connor revealed more about his political beliefs with Kreeger in a May 2 email. **Update: following the publication of this story, Council Member Kreeger emailed this response to Western Wire: “I do not know Andrew and have not met him. I do not work with him. He has included me on email blasts that he sent to a number of people, including journalists. I have replied to some of those emails. With regards to statements he made that were concerning, I have let him know that any calls for violence are wrong and that people can’t write things that may lead others to even think that someone is calling for violence. I do not know of any other statements of concern that he has made. I would consider clarifying or elaborating if you pointed to specific things you had questions about.